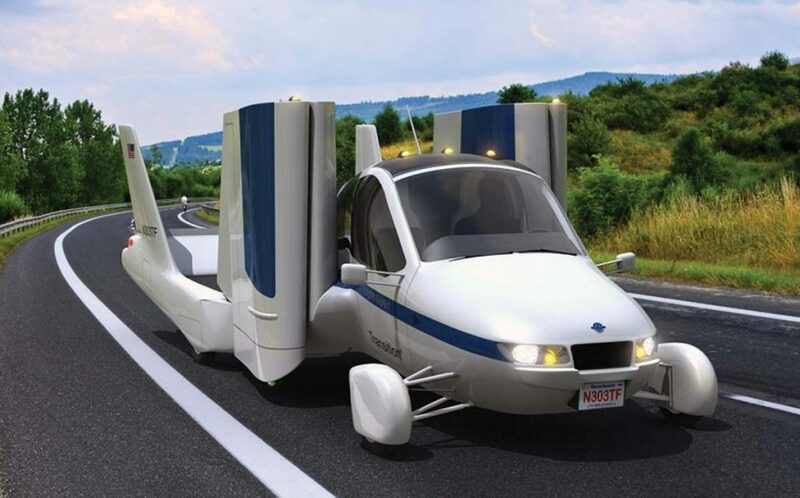 The Sleuth’s sources are hearing that Terrafugia, a company owned by Zhejiang Geely Holding Group of China (Volvo’s owner), is accepting orders for the Transition, which converts to an airplane from a car in less than a minute by unfolding its wings. Top speed is also said to be 100 mph in the air with a 400-mile range that’s accomplished with a rear-mounted 100-horsepower turbocharged four-cylinder engine that drives a propeller. As a precaution, there’s a built-in parachute and, yes, the vehicle requires a pilot’s license. On the road, the two-seat Transition travels using electric motors. Pricing starts at US $279,000 with deliveries to begin in 2019. The aptly named Transition converts from a road-going vehicle into a flying machine.